Great family home on Ella Boulevard! 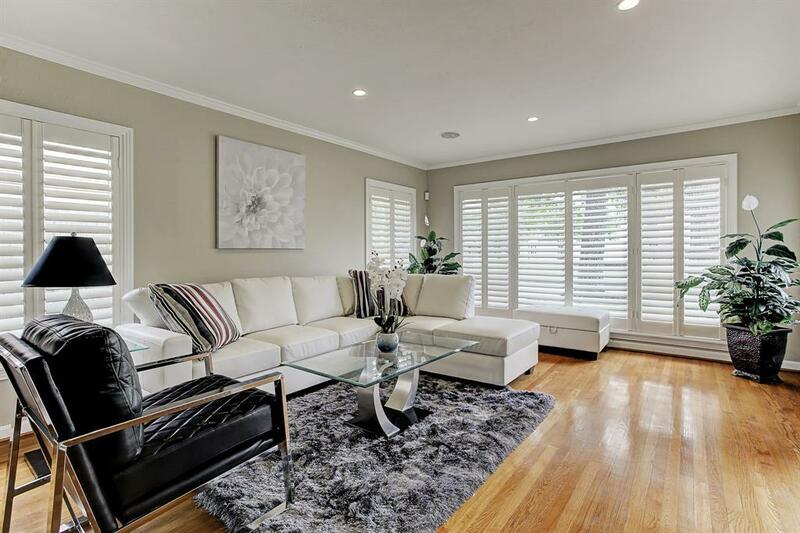 Formal living and dining rooms with hardwood floors and plantation shutters. 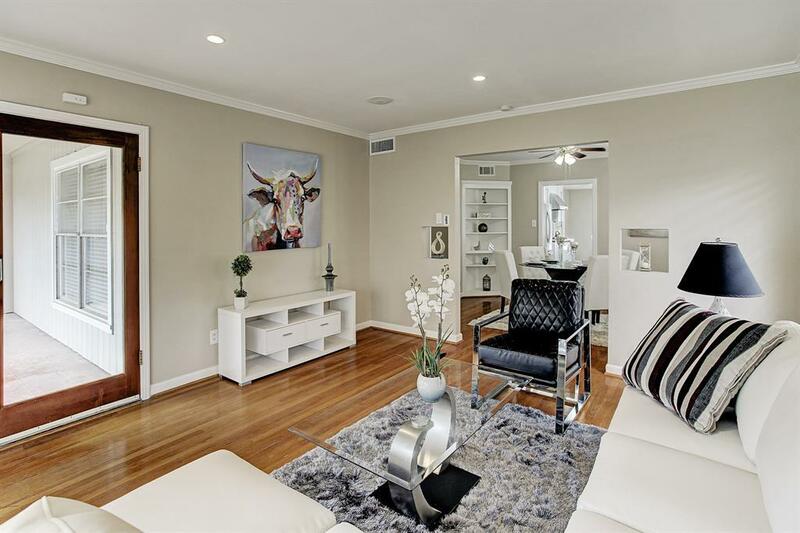 Three spacious bedrooms with hardwood floors and two updated baths. Granite kitchen with slate floors and backsplash. 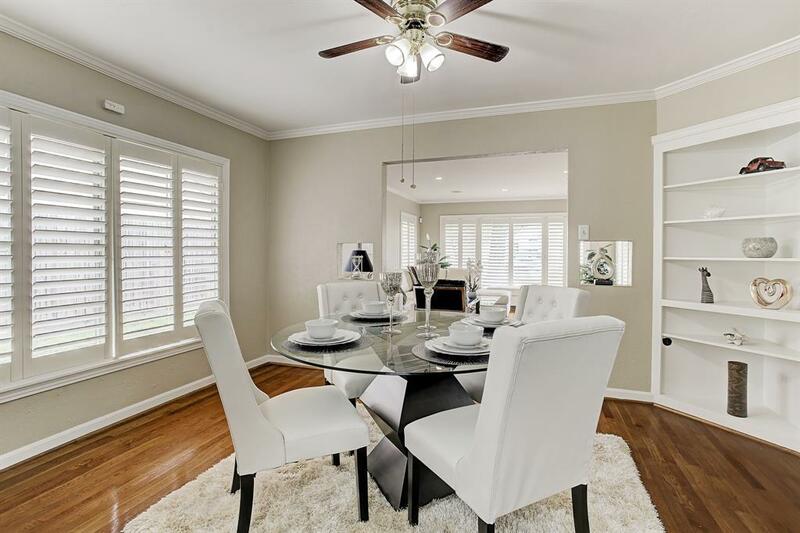 Gas range with five burners.Large sunroom with six French doors with integrated blinds, ceiling fan and granite flooring overlooking the fenced backyard.Abundant storage throughout-double closets in every bedroom + a cedar closet in the master. 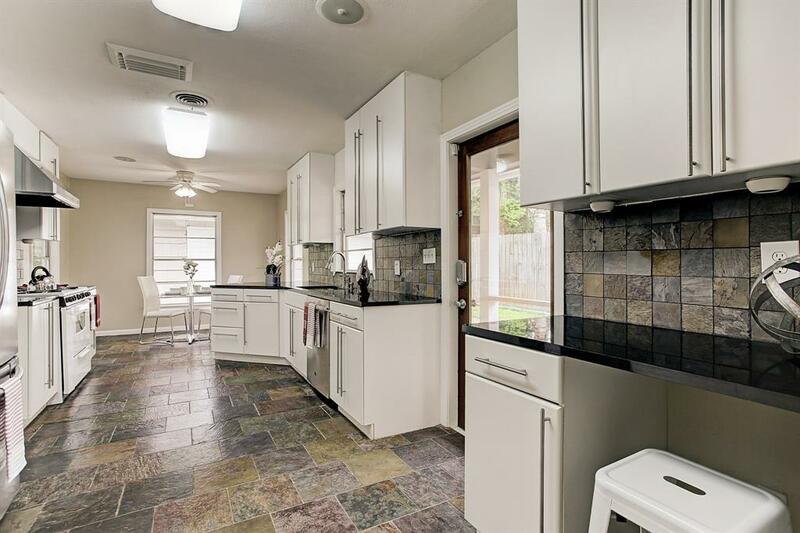 Utility room has fabulous cabinets and office space with a granite countertop. Large private fenced backyard with orange tree that smells fabulous when it blooms. All furniture and accessories are excluded.This is a must see! NO Harvey flooding. Verify room measurements.